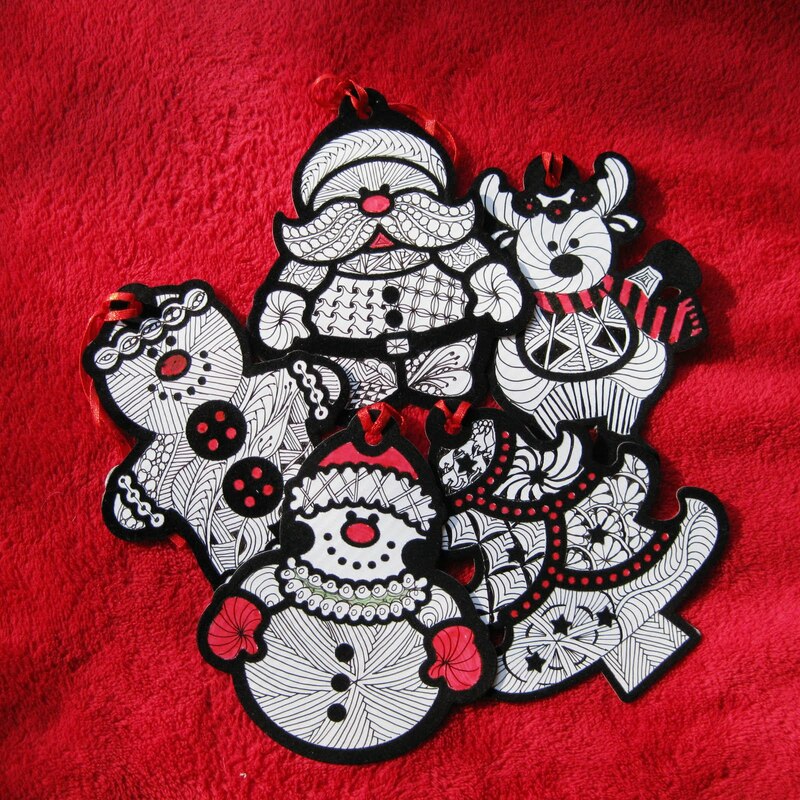 Adorable zentangle ornaments can be made from buying the blank version of these ornaments at Micheal's, and adding your favorite tangles and a splash of color. 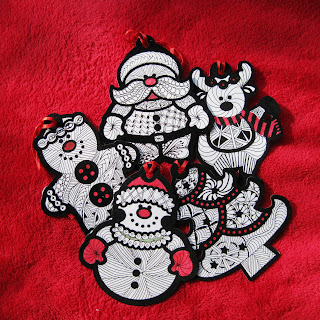 A great project for kids! 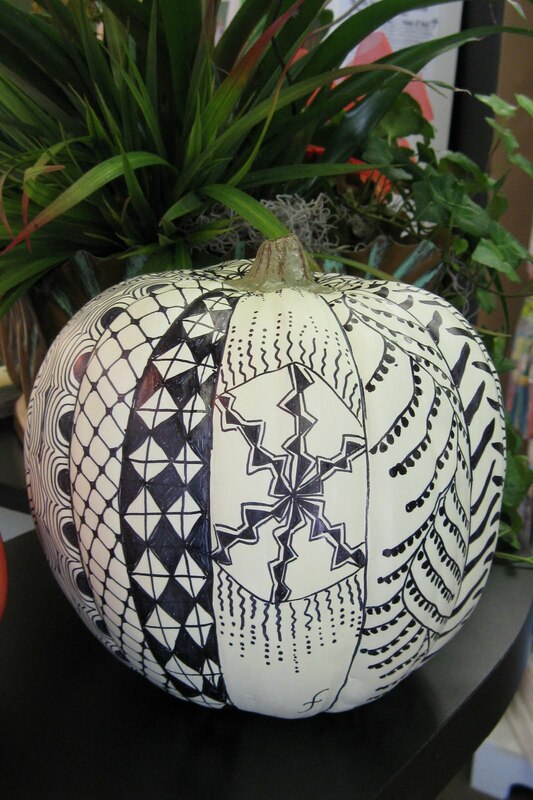 Get ready for the fall season by tangling a pumpkin. 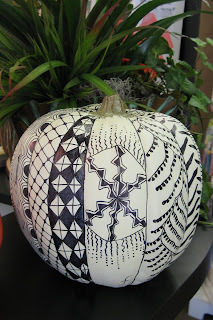 This one was made with a purchased white pumpkin and tangles were drawn with a sharpie pen. So much fun to make.